Today I will explain to you on how to turn iTunes menus on, off, or keep them on all of the time in Windows 7 or later. In iTunes for Windows 7 or later, menus are off by default. To turn on iTunes menus temporarily, press the Alt key. This will turn the menus on and off. When you close iTunes, the menus also close. They won’t be open the next time you open the program. 1. 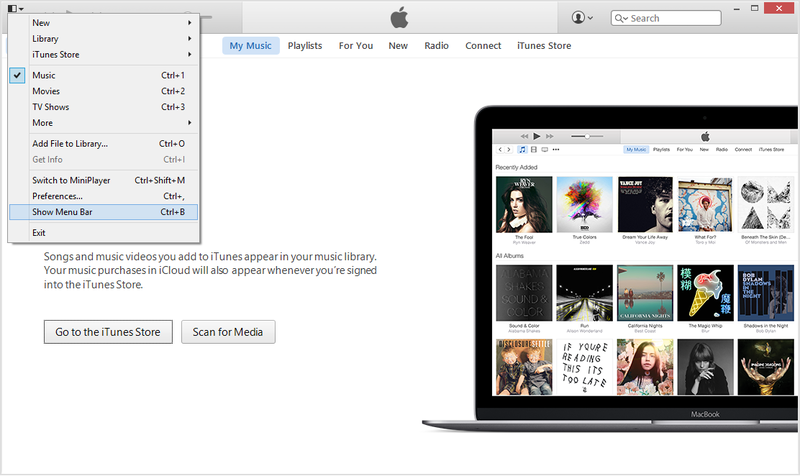 Click the Menu icon in the upper-left corner of iTunes. 2. From the pop-up menu, select Show Menu Bar. You can also press the Control and B keys at the same time to turn on the menu bar.